We collected around £600 at our annual Gala Concert in Sydenham on 26th November. Net proceeds will shortly go to St Christophers Hospice. No choir this year, but both the Progress Band and the Main Band played and the standards of musicianship were high. And we had yet another wonderful evening playing at the Parkinsons Society Carol Concert at Central Hall, Wesminster on 9th December. Its not so often that we play for such a star studded audience of more than 1,000! The weather started fine and sunny with a substantial audience but the rain down came towards the end of the second half and we lost most of our listeners! Congratulations to William, Progress Band Cornet player, who achieved Grade 4 in his recent Music exam. Well Played! We wish Tom and Nat every happiness for the future. . The Band recorded a first performance of a 'Fanfare' piece, especially for Radio 3, as part of the BBC's Light Music Festival. We played with 3 other Brass Ensembles in the Clore Ballroom at the Royal Festival Hall on the South Bank. Read More about the piece itself from the composer's website. In spite of warnings of rain, the sun did shine throughout the concert. We call it the 'Broadstairs Micro Climate'! The wind did cause a few problems but we had a very understanding and appreciative audience! Most enjoyable. Congratulations to the Progress Band for gaining a 'Distinction' in the 'Ensembles Intermediate' section. 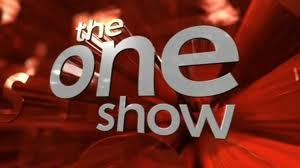 BBC engineers came to the Wednesday rehearsal before the Wedding to record a very short fanfare, to be played at the introduction to the One Show, broadcast on 29th April. 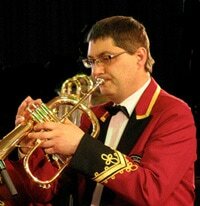 Thanks to Mike, our MD, for doing the Brass Band arrangement. 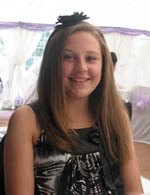 Jessica Larkin gained a Merit with 79% for her recent Grade 5 Horn exam. Jessica has weekly lessons at St Philomena's school Carshalton, but her interest in the horn has grown and developed from attending the Progress Band. Jessica has entered the solo brass class of The Croydon Music Festival so hold onto those nerves! We played our first concert of the year inside the delightful Battersea Park in glorious spring sunshine. 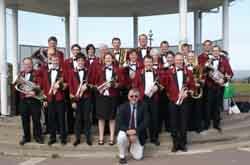 Its a top class bandstand, refurbished in 2004, and the acoustics were excellent. We were invited by the Wallace & Gromit and The Kennel Club to ' A Grand Day Out' to help raise funds for sick children in hospitals and hospices across the UK and to make a difference to dogs. The organizers generously provided us sandwiches for our lunch break. And the filling - yes, you've guessed it - Wensleydale Cheese! A tough Test Piece - A Little Light Music (Philip Wilby), Adjudicator Major Paul Norley. The Band worked hard over the weekend! We are recording carol accompaniments for the Wessex Choir and a few numbers of our own to make a 2011 Christmas CD. Sale proceeds will go to the wonderful Parkinsons Society charity. 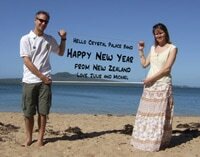 Band Tenor Horn player Julie Pilgrim wishes everybody a 'Happy New Year' from New Zealand. Lucky for some as we struggle through our UK winter! Picture. We have a New Progress Band Musical Director! We are delighted to welcome David Howell as our new Musical Director. He brings with him a wealth of experience as a musician and he is an excellent teacher. David is also the current Chairman of the Crystal Palace Band. We all enjoyed our first rehearsal under David’s direction on January 5th and hope that we managed to impress him with our abilities! David Howell follows Chris Mackey, the former MD whom we thank for his excellent input.